Around 200 pilots had threatened to go on "leave of absence", and they were also planning to take legal recourse over non-payment of salary. Mumbai: Over 1,000 pilots of the struggling private carrier Jet Airways have decided to go ahead with their “no flying” call from April 1 following the airline failing to receive funds from the banks Friday, its pilots guild has said. The airline said in a statement that every effort was being made to restore normalcy of operations. The National Aviators Guild (NAG), the body claiming representation of some 1,100 pilots at Jet Airways, had last week announced its decision not to fly from April 1 if their pending salaries were not cleared and clarity on the revival plan not provided by March 31. Days after that, the airline’s ownership went into the hands of SBI-led consortium of banks under a debt-recast plan. “A part of the expected interim funding from SBI was supposed to be actioned on March 29. Unfortunately, the fund transfer has not taken place, and there is also no update on salary payment from the management. The collective decision of pilots taken at Mumbai and Delhi open house effective 1 April prevails,” NAG president Karan Chopra said in a late evening communication to his members. 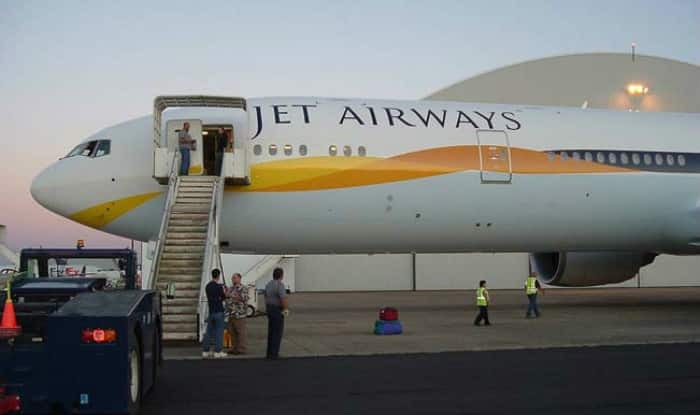 “As announced earlier this week, the airline’s lenders and its management team would like to reiterate that every effort is being made to inject adequate liquidity into the company, to quickly restore normalcy of operations, ensuring due compliance with all appropriate legal processes/ formalities at the same time,” a Jet Airways spokesperson said in a statement. “While acknowledging the support of each and every member of its family, Jet Airways especially recognises the contribution of its pilots, AMEs and members of its senior management, who have sacrificed personal interests and have gone beyond their call of duty in order to ensure safe and reliable operations for the airlines guests,” it said. Earlier on Friday, a source said that around 200 pilots had written individually to Jet CEO Vinay Dube, threatening to go on “leave of absence”, and they were also planning to take legal recourse over non-payment of salary. A source in the pilots’ community said around 200 pilots have written to the CEO flagging concerns about non-payment of salaries. The pilots are also members of the NAG, the source added.